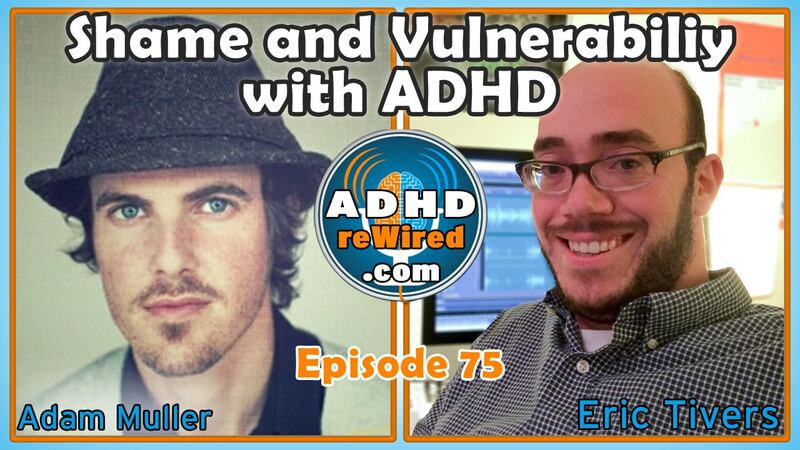 Feeling sometimes ashamed of his ADHD when dealing with others, Adam Muller of ADHD Collective joins Eric to try to address his apprehensions and attempt to allow himself to be more vulnerable. Filled with stories of his experiences, Adam talks in this episode about his journey across jobs, creative endeavors, and life experiences in a way that helps better show how he came to his current direction and starting ADHD Collective. 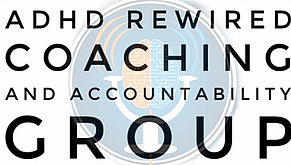 Adam and his wife Melissa created ADHD Collective, a strengths-based ADHD coaching business. Their coaching is oriented toward adults, college student, and professionals with ADHD. Adam came from both working in the corporate wireless industry and writing music in Nashville, Tennessee, and uses those experiences to inform his ideas of human interaction alongside his coaching. He hosts a podcast called The MullerCast. When Eric and Adam spoke initially, they discussed the issue of vulnerability as an ADHD coach. In communicating his story to Eric, Adam was asked if he wanted to talk about it on the show. Being involved with helping those with ADHD while also having it himself was making Adam uncomfortable. Adam realized his discomfort with sharing his ADHD experiences with others was an important feeling to share with others. Taking a step back, though, Adam saw his apprehension at the thought of losing control as a topic that others might be able to relate to, one that was worth discussing. Eric points out that some recovering addicts will become addiction counselors. Likewise, a lot of people in the professional field of ADHD also have ADHD themselves and they too struggle with how much information about themselves to share. Despite knowing all the right answers and having been through the situation himself, Adam still wonders if it’s appropriate for him to be helping others when he still has issues he has yet to solve. Eric: Author Brené Brown mentions that people need to earn the right to hear your most vulnerable stories. Listening to past episodes of ADHD reWired and hearing how open and embracing of vulnerability Eric had been emboldened Adam to take the plunge to come on the show as a guest. Eric describes how, despite using an online calendar and doubling that schedule over to his notebook on a daily basis, forgetting to check his notebook for a half-hour period saw him think that an appointment was a half-hour later than it was. The patient showed up at his door on time and Eric mistakenly told him he was early. As a reaction, Eric felt the need to share that story. Sharing it helps Eric take ownership of the situation and is helpful for him to form into words. Adam mentions that he has had similar situations; he recently deleted a bunch of files on his computer, only to realize later that he should have been more mindful of what he was deleting beforehand. 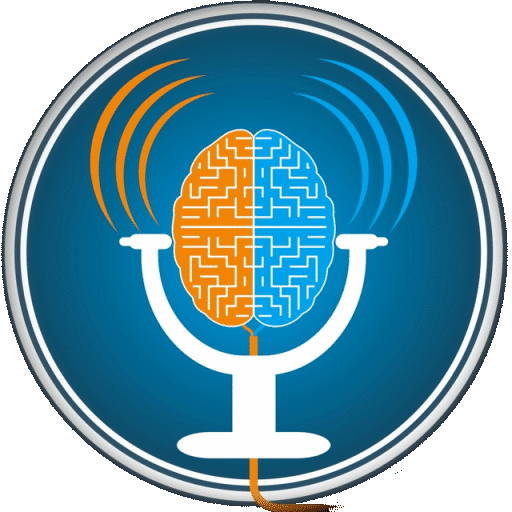 Listening to episodes of ADHD reWired, like number 47: ADHD at 55 MPH, Adam appreciates how Eric has found the courage to take otherwise embarrassing moments and express them to others in a transparent way. A listener emailed Eric following that episode’s release to say that up until that point they had begun to doubt whether or not he actually had ADHD. That statement made Eric feel validated for how hard he works in the production of the podcast. A year after their marriage in 2007, Adam and his wife Melissa decided to move to Nashville. Adam planned to pursue a career in music, while Melissa would pursue her graduate degree. Realizing his dream of moving to Nashville was coming true, Adam started to worry about whether he was talented enough and, mainly, about not having control over what others would think about him or his music. Instead of working toward his goals in music, Adam would just spend most days stressing out about writing songs. At the same time, Melissa, who was studying various realms of psychology at the time, came across a book, The Gift of Adult ADD, which contained a number of stories of successful people with ADHD. Recognizing there might be a connection, she gave the book to Adam to read. Initially it was a huge relief for Adam to know he “wasn’t crazy in my head anymore”. Reassessing where he was at age 30, Adam realized his history of not following through on tasks made him feel insecure, which, in turn, made him even less likely to follow through. Adam: It’s great for songwriting, but when it bleeds over into your life and your life looks like an incomplete song, you know that you’re capable of more. Now, mainly conversing with his wife helps him stay on task and following through on his goals. ADHD Collective is the end result of Adam and Melissa following through on a project, but the first six months were extremely flaky. Melissa, who was working as a therapist specializing in ADHD realized that many people with the disorder shied away from attending therapy. Adam began helping out with the project on the back end, helping to build their website and manage various tasks. In order to build their website, Adam forced himself to learn how to do it by soliciting himself on TaskRabbit. Unfortunately, that experience-building exercise then turned into a distraction from the main project of ADHD Collective. Unsure of his place in the project, Adam would meander in and out of interest. ADHD Collective orients itself toward a strengths-based approach to therapy and treatment. Adam: When you flip your life and let it rest on your strengths, as opposed to your weaknesses that you’re trying to always get better at, […] it kind of gives you the leg to stand on to be vulnerable so you’re not just ‘in’ your washing machine cycle of weakness. You’re being washed up in front of the world. Eric: At the same time, that doesn’t mean we ignore the challenges. To not acknowledge them and just harness our strengths, is just as much of a disservice as it is to ignore the challenges. Even showing others your struggles can help them overcome theirs. It’s very easy nowadays to make oneself appear in perfect form and control of their lives if they want. If there’s no break in the veneer of strength, then there’s no where you can see yourself in it. Eric: I’m terrible at returning phone calls. Adam: On off days I’ll spend all day watching Mad Men to cope. Eric: I spend way, way too much time playing Minecraft. At times I’ve left my iPad at my office intentionally so that I won’t play it at home. 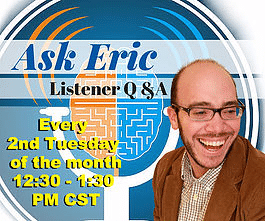 Initially Eric started playing because of how many of his clients mentioned they were. The first night he tried it, he inadvertently spent six hours playing without realizing it. Despite knowing that viewing computer screens before bed contributes to worse sleep, Eric still plays Minecraft right before. In the past, though, following a time-sink like binge watching Mad Men, Adam would feel worse about himself for multiple days. Now, his recovery times are drastically improved. It’s about “how fast can I get back to feeling good about myself”. Despite wanting his therapist to delete Minecraft for him, Eric was too ashamed to ask her. Having ADHD as a kid in the schooling system makes everything confusing to kid who have it. Adam would struggle prioritizing – he would focus on talking to his neighbor in class rather than the lesson. Adam would regularly be reprimanded in school, being lumped in with the other “bad” children. The confusion of being told he was bad as a kid in school, while being told he was good by his mother may have contributed to his shame later in life. Adam remembered a time when he was eight years old: his mother asked him to clean his room and do his chores while she would be away at the store, expecting him to accomplish that by the time she returned. While he planned to complete the chores, he forgot almost immediately. When his mother returned and decided to punish him, he remembers standing up for himself. He wanted to make the point that he had wanted to do the chores but had forgotten. His mother responded along the lines of ‘if you had valued it more, you would have remembered’. He still received the spanking. Later, during a phone call with his mother about a time during his early twenties where he struggled a lot in his life, he made the connection that the problems he was having then in his early twenties were the same problems he was having when he was eight. Adam: If I can’t control whether I’m going to forget or not, and I’m going to be punished for something I can’t control, that was almost devastating to me as a kid. He didn’t know he wanted an apology, but when his mother apologized to him for that, it really helped him heal. Eric: For parents, imagine what it would feel like to not be able to remember the things that, from a social perspective, we know we are supposed to remember – to want to do it, but to not actually be able to do it. When children are being punished and penalized for what they cannot directly control, what they end up doing is controlling how they respond to those situations. Often, that control of response comes in the form of defiance, obstinacy, and argument. The arguing then is stimulating to the children, which may perpetuate their return to it in the future. Adam felt, when he was punished for his forgetfulness, that he was locked out of his mother’s decision-making process – a process he couldn’t control or be a part of. If she had allowed him to have a dialogue it would have been very meaningful to his eight-year-old self. Adam’s mother admitted she didn’t have an answer or explanation for him at the time – she just thought she was doing the right thing. Eric refrences a book called The Explosive Child, which outlines a collaborative problem solving method that invites children into the process. Often, adults will address a problem with a solution without correctly identifying the problem to begin with. The language of the DSM and surrounding ADHD as a disorder leaves a proverbial bad taste in Adam’s mouth. Adam likes Dr. Edward Hallowell‘s “strengths based” approach to looking at ADHD and, though he recognizes its practical perspective, feels Dr. Russell Barkley‘s language can feel a little coarse. One reason the term “disorder” is used is for insurance and funding purposes – to highlight ADHD as a serious problem. Eric mentions how Dr. Barkley has made the point that, if ADHD is a strength or a gift, then why are we investing so much time, energy, and money into creating strategies and treatments for it? In one sense, Adam is glad to have one term around which like-minded people can gather. Having one agreed-upon name also helps him to be able to better think about ADHD as a topic. Eric: The name ADHD is an awful description for what it actually is. Attention is just a piece of it, and even then it’s more an issue of attention regulation than a deficiency. ADHD is really a disorder of self-regulation; it’s regulating goal-directed behavior of executive functions. 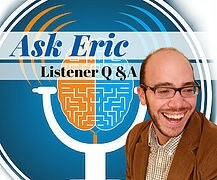 Eric has mentioned in previous episodes that he had been experiencing mild anxiety. As a result, he decreased his Adderall XR medication dosage by half. While cutting his dosage in half helped his feelings of anxiety, it made it harder to plan ahead. His “time horizon,” how long ahead he was able to plan, had shrunk down to barely more than his day. Switching back to a middle-ground dosage, Eric immediately noticed the difference. Now, Eric switched to a new “cocktail” of medications as recommended by Eric’s psychiatrist that includes guanfacine. He’s noticed less anxiety, though no particular changes in his ADHD. Adam feels like other people are judging him when he goes to fill out his prescription, like they’re thinking that he’s actually just selling it illegally. Medication has been so helpful to Adam that he’s sometimes scared not to take it. Eric says he sometimes imagines convoluted scenarios wherein he needs his medication to function but is, for example, arrested in another country for having it, and so on.